Wallen Mapondera was born in Harare, Zimbabwe. Having received formal art training from the National Gallery School of Visual Art and Design (2005 – 2007), he currently lives and works in Grahamstown, South Africa. 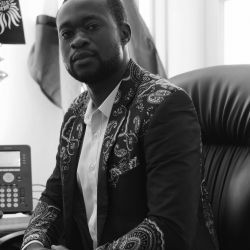 As an artist, Mapondera makes use of a wide variety of materials that best animate his ideas around the current social, political, and economic issues faced by many Zimbabweans. In his earlier works, he used zoomorphic and anthropomorphic imagery to comment on power, inequality, and exploitation. 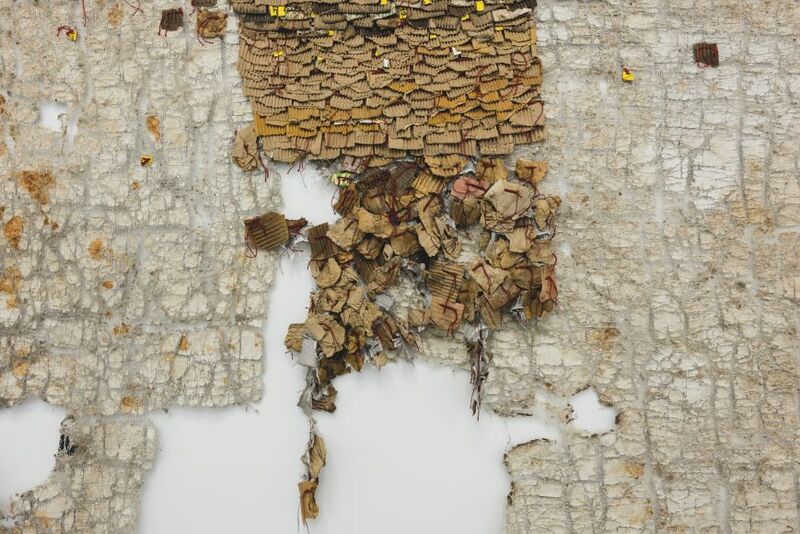 Although connected, Mapondera’s more recent, large-scale works draw our attention to issues around land-reclamation, redistribution, and migration through the use of discarded and obsolete materials — a metaphor for the displacement and marginalisation experienced by communities living in high-density areas. In works like Musha Waparara (2018), a title which means ‘the family home (or structure) has fallen apart,’ we see how the artist arranges these materials into overlapping rectangles and squares of colour. 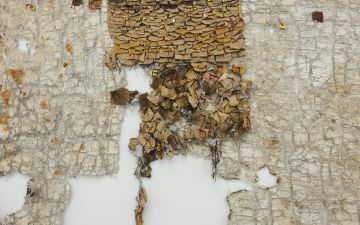 The artwork begins to look like an aerial photograph, with sections that appear overcrowded and others that sprawl outward, held together only by a thread. In 2007 Mapondera was selected for the National Gallery of Zimbabwe Artist-in-Residence Programme, hosted at the National Gallery School of Visual Art and Design Studios in Mbare, Harare. Recent exhibitions include Familiar Histories: An Unstoppable Force in Contemporary Art Discourse, at the National Gallery of Zimbabwe, Harare (Zimbabwe: 2017); as well as X: Part III and Nothing Personal at SMAC Gallery, Stellenbosch (South Africa: 2017 and 2016 respectively). Wallen Mapondera’s work Musha Waparara (2018) has been included in the exhibition, Five Bhobh – Painting at the End of an Era (2018-2019) here at Zeitz MOCAA.